Hypothyroidism is the term we use to describe when the thyroid does not make enough thyroid hormone to keep the body running normally, i.e. an underactive thyroid gland. In children, hypothyroidism can be present at birth (a condition called congenital hypothyroidism) or it can develop later in childhood. When the thyroid gland stops working despite being normal in the newborn period it is called ‘acquired’ hypothyroidism. Hashimoto’s thyroiditis (also called autoimmune thyroiditis) is the most common cause of acquired hypothyroidism in children, and adolescents (and adults) and usually develops after the first few years of life. Hashimoto’s thyroiditis is an autoimmune disorder in which the immune system—which normally protects the body from invading infections—mistakes thyroid gland cells for invaders and attacks them, leading to inflammation of the thyroid. Over time, the inflammation damages the thyroid gland, leading to a gradual decline in thyroid hormone levels. Once the levels drop below the normal level for the person (called hypothyroidism), the pituitary gland notices the hypothyroidism and responds by making more TSH to try to make the thyroid gland work harder and increase thyroid hormone levels. It is not known why some people develop Hashimoto’s thyroiditis, although this condition tends to run in families. Thyroiditis, a temporary inflammation of the thyroid that may be caused by a viral infection. Surgical removal of the thyroid gland to treat thyroid nodules, thyroid cancer, or Graves’ disease. Radiation treatment that destroys or injures the thyroid, including radioactive iodine to treat Graves’ disease, or radiation to the neck area used to treat Hodgkin’s disease, lymphoma, or other cancers. Medicines like lithium, amiodarone, and oxcarbazepine that can prevent the thyroid gland from working. Too much or too little iodine, which can prevent the thyroid gland from working normally. Damage to the pituitary gland. The pituitary (the “master gland”) in the brain tells the thyroid how much hormone to make. When the pituitary is damaged, it may no longer be able to make enough TSH to ensure normal thyroid function. There are no signs or symptoms that are unique to hypothyroidism. Also, because the condition can develop slowly over many years, the symptoms may be less noticeable or ignored. Pubertal development that may be delayed in adolescents. An important finding on physical exam is an enlarged thyroid, also called a goiter. Weight gain. Hypothyroidism can slow metabolism, but most people do not gain excess weight only because of low thyroid hormone. Because the symptoms are so variable and nonspecific (may be caused by things other than the thyroid), the only way to know for sure whether a child or teenager has hypothyroidism is to perform a blood test. TSH (thyroid-stimulating hormone) is the most sensitive test for hypothyroidism. TSH is made in the pituitary, a gland at the base of the brain that controls our hormone system. If the thyroid gland is not working, the pituitary releases more TSH to try to get the thyroid to make more thyroid hormones (T3 and T4). 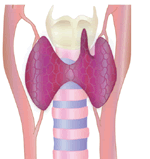 Less commonly, the thyroid may be normal and it is the pituitary that cannot make enough TSH. This is called ‘central’ hypothyroidism and may be caused by medications, illness, a brain injury or a mass/tumor near the pituitary. T4 levels measure the amount of the thyroid hormone thyroxine (T4) that is in the blood. Often this test will measure the level of “free T4” (abbreviated FT4). FT4 is the form that is not attached to a protein and can enter and affect the body’s cells. Thyroid auto-antibodies – the immune system makes antibodies against thyroid proteins (called thyroid peroxidase or TPO) and the antibody levels may be measured to confirm the diagnosis of Hashimoto’s. 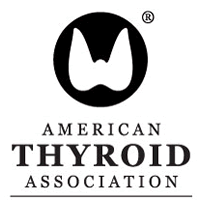 Many patients who have thyroid autoantibodies continue to have normal thyroid hormone levels. In this situation, it may be hard to predict if and/or when the person will need thyroid medication. Subclinical hypothyroidism is a term for hypothyroidism that is diagnosed at an early stage, when the TSH is just above the normal range but the T3 and T4 levels are normal. Subclinical hypothyroidism does not typically cause any symptoms and does not appear to have any significant health effects. It may be discovered because of the presence of a goiter, increased weight, or a strong family history of thyroid disease. In many children subclinical hypothyroidism goes away without treatment and thyroid function returns to normal. This is especially true for patient with excess weight that can achieve a 10% or more loss in weight. For this reason, there may not be a benefit to treating subclinical hypothyroidism. If subclinical hypothyroidism is not treated, thyroid function should be monitored every 6 to 12 months for a period of time to make sure it does not worsen. If the TSH continues to rise (usually > 10 mIU/L), treatment may be necessary. Patients with elevated thyroid auto-antibodies (especially anti-TPO), a goiter, and/or elevated cholesterol may benefit from treatment at the time of the initial lab results. Children with overt hypothyroidism (elevated TSH and low T4 levels) are treated by replacing the amount of hormone that the child’s own thyroid can no longer make. The goal is to bring the T4 and TSH back to the normal range and restore the body’s normal functions (called ‘replacement’ therapy). 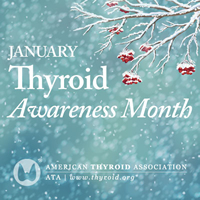 The majority of patients can achieve normal thyroid hormone levels by taking levothyroxine (T4 only) pills once daily. The ideal way to take levothyroxine is on an empty stomach, at least 30 minutes before eating. However, the most important thing is to take levothyroxine in a consistent way each day, at a time that is easy to remember, and to avoid missing doses. If a dose is missed, it should be made up as soon as you remember. There are some other medications that should not be taken at the same time as levothyroxine, including: calcium or iron supplements or vitamins. If a patient is using high dose biotin to help strengthen their hair and nails, the biotin should be stopped 2 days prior to the thyroid labs being drawn. The biotin can be restarted once the lab draw is completed. Check with your child’s doctor if your son or daughter is taking other medications or is interested in using supplements. Other forms of thyroid hormone are available, including a form made from dehydrated (desiccated) pig thyroid as well as a T3 only form called Cytomel. There is on-going research and debate to determine whether some patients may benefit from these medications, but at the moment these medications are not recommended for most patients with hypothyroidism. A TSH level should be checked 4 to 8 weeks after starting levothyroxine (T4) or after any change in levothyroxine dose. The goal of treatment is to keep the TSH and T4 in the normal range. How often these levels need to be checked depends on the age of the child. Older children can have these levels checked every 3-12 months until they have finished growing and going through puberty. Adults typically have levels checked once per year. For young women with hypothyroidism, the dose of T4 will need to be adjusted during pregnancy. Consult your obstetrician and endocrinologist for details on how frequently labs should be checked and for thyroid hormone (T4) dose adjustments. When hypothyroidism is caused by Hashimoto’s thyroiditis, it is usually permanent. Hypothyroidism caused by surgical removal of the thyroid or radiation treatment is also lifelong. Hypothyroidism due to certain other causes (like medications or iodine) may go away if the cause can be addressed. The dose of levothyroxine often changes during childhood and adolescence due to growth, change in metabolism, and if there is continued decreased function of any remaining normal thyroid. With the exception of needing to take a pill once daily and getting labs checked, there are no restrictions to everyday life and activities. 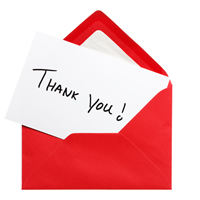 Patients with hypothyroidism can and should have productive and rewarding lives.